There's a buzz around the revitalised John Bright Street in Birmingham city centre with an eclectic mix of bars and restaurants opening every few months. 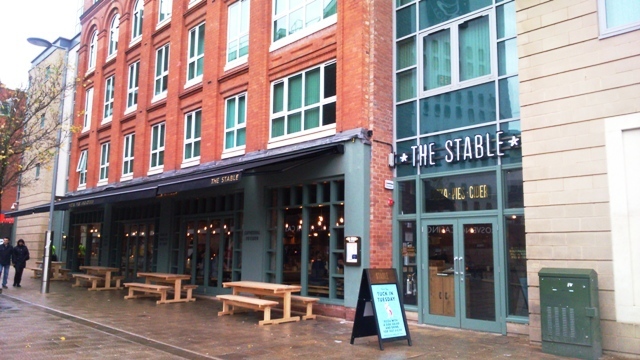 The latest to join the likes of Turtle Bay and Brew Dog is The Stable. 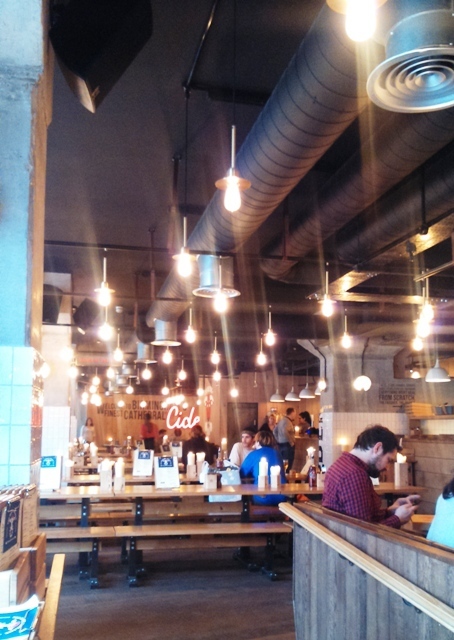 It's a chic affair with low hanging bulbs, long wooden tables and a large illuminated sign glowing with the word 'cider' in an exposed brick exterior. It's an apt decor as this is the place that boasts 80 ciders. There are also cider tasting boards for those who find it hard to choose, giving diners the option of smaller sample sizes. 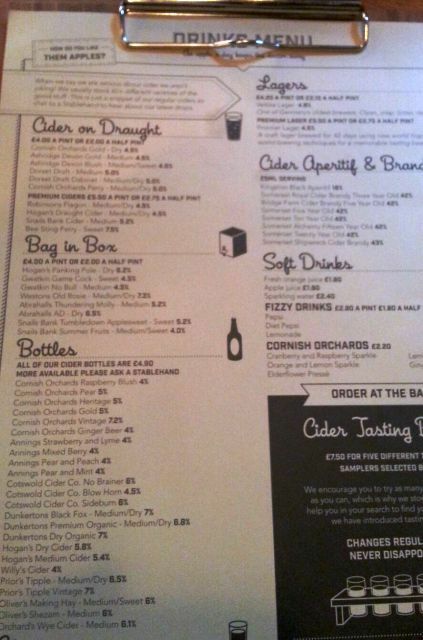 In terms of the drinks, draft ciders (£2 half pint or £4 a pint) come from as far afield as Devon and Cornwall with Cornish Orchard Gold, Ashridge Devon Gold and Blush or Dorset Dabinet. There are other alcoholic drinks on the menu but in limited supply, such as a couple of ales and wines. Food-wise, The Stable focuses on pizzas and pies. There's a range of pizzas that have been given local names, like Perry Barr Baa featuring marinated lamb, while Bull Ring Boar has chorizo and salami. Other great pizza names are the Smethwick Scorcher, the Bournville Bantam and the James Brindley. 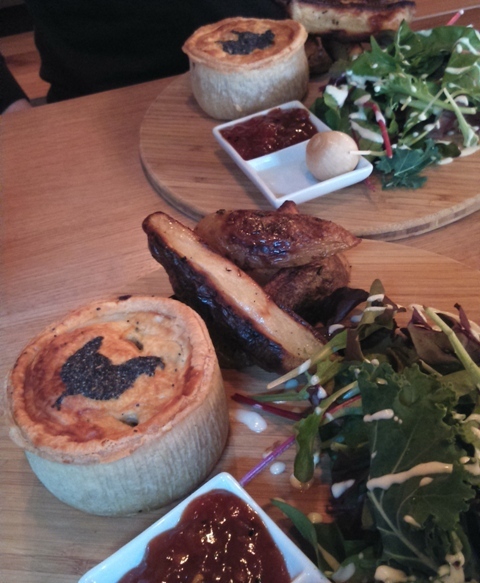 The pies are a hearty feast that come with salad and potato wedges. There's a good range of options like a butternut squash vegetarian mix; a chicken, gammon and mushroom; or lamb, potato, garlic and rosemary. Opening hours are Monday - Saturday, midday until 11.30pm (food until 10.30pm); Sunday midday to 11pm (food served until 10pm).